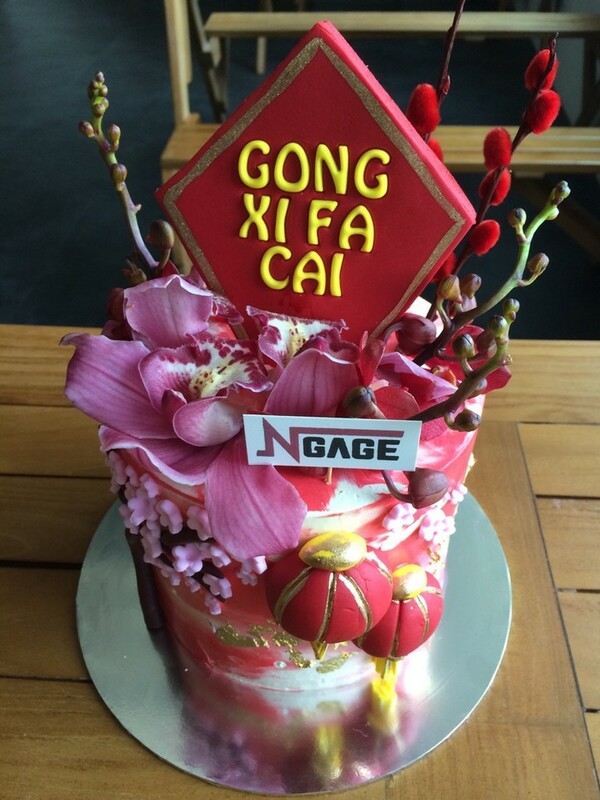 CNY theme cake from our supplier! With real Orchid flower on top as decor. Inside is chocolate cake.